Activists say the reports about Khashoggi are the latest political “bombshell” in a series of moves to crush dissent under the leadership of 33-year-old Crown Prince Mohammed bin Salman. “The era of bin Salman is the era of surprises that are foreign to this country’s history. 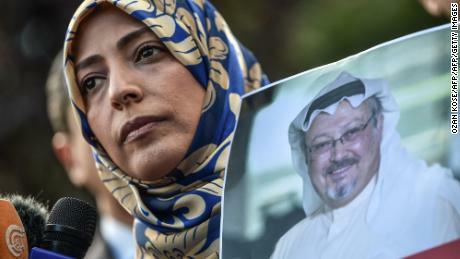 Based on what we know of his rule, it looks like the tragedies won’t stop,” Ali Adubisi, director of the Berlin-based European Saudi Organization for Human Rights, told CNN. Khashoggi, who was critical of bin Salman in opinion pieces for The Washington Post, entered the consulate last Tuesday to collect paperwork that would allow him to remarry. He has not yet re-emerged, according to his fiancée, his friends and his colleagues at The Washington Post. A Saudi official said Khashoggi left the consulate shortly after he visited. The Saudis have not released any surveillance footage or other evidence to support that assertion. “Jamal is someone who impacts opinion and who carries weight in the media. 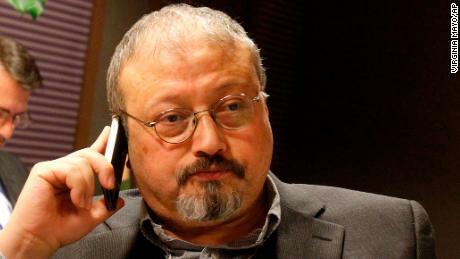 He has a strong presence in newspapers and foreign media … the impact he had was very large and his arrival at the consulate may have been tempting to the authorities,” said London-based activist Yahya Assiri. Khashoggi was considered the ultimate Saudi insider. He was an advisor to former Saudi intelligence chief Prince Turki bin Faisal, and was close to prominent members of the kingdom’s royal court. As the former editor-in-chief of state-aligned Al Watan newspaper, he cultivated a strong network of high-level foreign contacts. Turkey’s Erdogan described him as a “friend” at a press conference on Sunday. 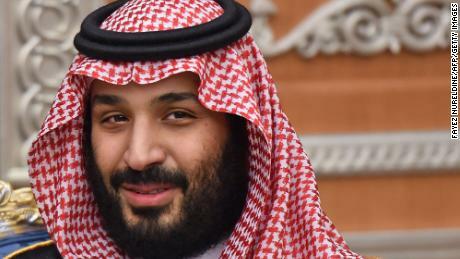 It’s a potent combination, activists argued, that could upend the Crown Prince’s energetic bid to boost the country’s image and attract foreign investors. “A publicity campaign that Mohammed bin Salman spent tens of millions of dollars on could come tumbling down with just a single article written by Jamal Khashoggi for The Washington Post,” said London-based lawyer and Saudi human rights activist Sultan Alabdeli. “The media has described him as a member of the opposition, but I don’t think this is a complete picture of Jamal Khashoggi,” said the European Saudi Organization for Human Rights’ Adubisi. As a former adviser to a previous intelligence chief, and a journalist with nearly unrestricted access to Saudi Arabia’s kings, Khashoggi could not be considered “a regular personality,” he said. If reports of Khashoggi’s detainment in the consulate are true, then activists fear a Saudi crackdown on dissent will continue unchecked. “If the world remains silent about the abuses of the Saudi authorities, and if we as activists fall silent, then this would push the state to undertake more actions like this,” Assiri said. Khashoggi’s disappearance comes amid a wave of arrests that have targeted clerics, human rights advocates and members of Saudi Arabia’s intelligentsia. The crackdown began as 33-year-old bin Salman was elevated to Crown Prince last year. Bin Salman has laid out plans to modernize the kingdom, but his detractors have challenged his claims by pointing to the wave of arrests. The sweeps draw on a 2014 counterterror law that broadened the definition of terror activities to include dissent. “Insulting the reputation of the state” and “describing” the King or Crown Prince “in any way offensive to religion or justice” are both considered serious crimes, according to the law. The “misuse” of “academic or social status or media influence” is punishable by at least 15 years in prison. Another foreign-based Saudi activist said that her visits to the kingdom have ground to a halt. “People outside Saudi are not going back for sure. I always go back … but this is the first time in my life I can’t go back because we don’t know what’s going on,” said Sydney-based Manal al-Sharif. She was one of several female activists who advocated for the reversal of a Saudi prohibition on women driving, a ban that was lifted this June as part of a series of social reforms decreed by the Crown Prince. But she says her support began to wane as the crackdown on dissidents went on, and when the women advocates were arrested her beliefs in bin Salman’s Saudi Arabia transformed drastically. “I really don’t understand what’s happening in my country,” she said. One Saudi activist in exile, who asked not to be named for fear of her safety, said the kingdom’s consulates have long been considered off limits to critics, even before Jamal Khashoggi disappeared in Istanbul. “All self-exiled critics know better than seeking the services of the state outside borders,” said the activist. CNN has reached out to Saudi authorities and has received no response.